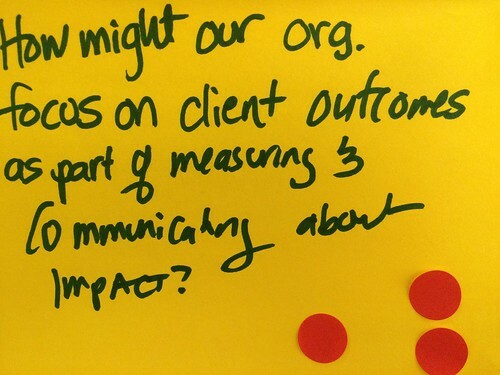 A few months ago, I facilitated a mini-innovation lab on measuring impact for grantees of the Google Nonprofit program at the Impact Hub. The workshop used design-thinking based on Luma methodology to help participants develop a communications strategy for measuring impact. The process took participants through an assessment of the problems facing them, collective brainstorming, and prototyping. The group included a mix of Google grantees as well as measurement professionals. That’s where I met Kim Kastorff who is the founder of Kimpacto, a San Francisco-based advisory & consulting firm working across the U.S., Europe and Latin America. Her company helps mission-led businesses succeed, and also connect socially minded investors with “impact investing” opportunities, where they can generate both financial returns and social impact. She founded the firm to leverage my background in finance, education, and environmental areas. She graciously did this interview with me to share more of her knowledge. These are very helpful tips about helping your non-profit organization flourish. It is very true that sometimes people cannot find the right resources or help to get started. This gives very good ways to make sure that your organization gets the chance it deserves and helps it seem a little less stressful. Keeping track of your impact is a great tip, because it not only gives encouragement, but helps keep you on track and see what more you can be doing. Setting goals is something you need for anything you are trying to accomplish. Without goals, you have nothing to work towards. Also reporting out is a great idea I didn’t think of because if you don’t let anyone know, no one can help. Also if no one knows that you’re doing good, they can’t help you make it even better. Communication is very important with non-profits. If you expect people to help you out, they need to know where their money is really going as well as what the impact of their donation and the organization is. If they see that they are making a difference, they will most likely continue to help because they feel useful. You must present this information in a way that people understand and that keeps them interested. Trust is also a big thing. You must gain credibility and anyone helping must be able to trust you. I really like how you gave different places to get information. I find it really helpful. As for picking a consultant, I agree that they should help the organization and increase the impact. I think they need to be qualified and also trustworthy. Background checks and interviews are always good for getting to know a person to make sure they are right for the job and will do it well. This person plays a huge role in the organization and should not be chosen lightly because they can make a big difference. Thank you for your article and the time it took you. I’m sure a lot of people have found it very useful. Thank Beth. Kim and I have been working together on system development part in past. She has truly done great job in helping me through a maze. The current landscape of impact investing, program related investments (PRIs) and grant making have to deal with hundreds of measurement tools, framework and tower of Babel. Navigating from these is very difficult for most. Instead our approach is to provide a collaborative process that focuses on improving consistency within their own internal ecosystem (grantor vs grantee and investor vs investee). Readers who do not want to get bogged down may want to review our comprehensive social impact measurement platform (http://sopact). Unmesh, I think Kim is pretty amazing and I’m delighted that you have shared your measurement platform – amazing.